Identify two ways that KU Medical Center used glass to create transparency and connection between students, faculty, and the community. Explain techniques designers of the University Medical Center New Orleans used to reduce the massing of the 1.6-million-square-foot complex. Describe the perforated aluminum panels and other methods used on the University of Arizona Cancer Center to alleviate heat gain and glare while preserving views. List three architectural features of the Parkland Memorial Hospital that provide the bold yet on-budget distinctive look. Hospital and medical school facilities have not been known for their warmth and hospitality. But new thinking about patient care and medical student training is leading to some remarkable architectural designs that often put patient care and comfort above all else. 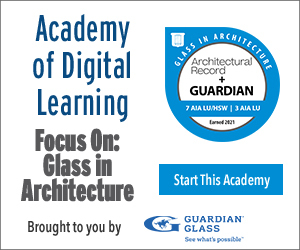 This course takes a look at several projects that have put glass at the center of their buildings to not only bring in light but also provide beauty, comfort, and a sense of calm to what can be an otherwise stark or chaotic space. For this project, CO Architects met the goal of this building being a front door, and at night a lantern, by using transparency and a lot of glass. This new medical facility, with its 42-foot-high, daylight-filled lobby, gleaming white terrazzo floors, and public art, exudes an aesthetic calm while serving as the region’s only level-one trauma center. A Place in the Sun: A high-performance building in the desert serves as a therapeutic refuge for cancer patients. 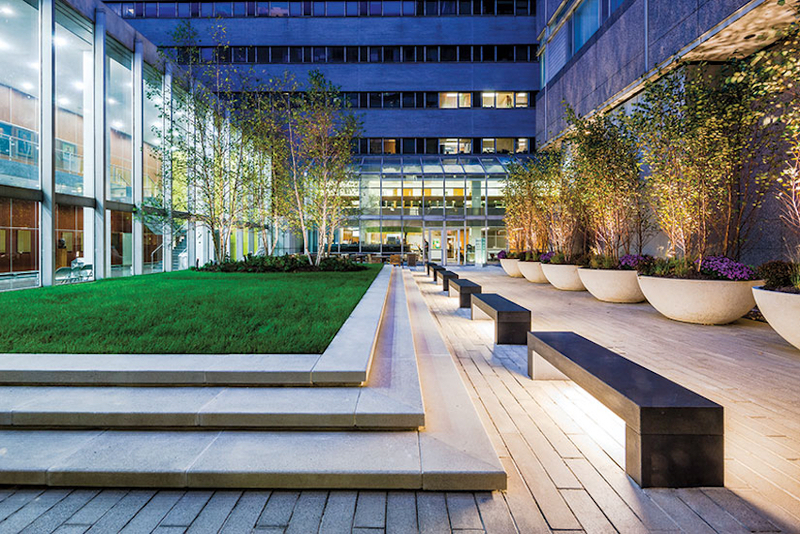 How do you give a hospital a warmer, hotel-like ambience? How do you bring in plenty of daylight and views out to an abundance of greenery? Architects at HDR + Corgan figured it out. At NYU, glass enhances state-of-the-art patient rooms, labs, and airy, light-filled meeting rooms and gathering points.